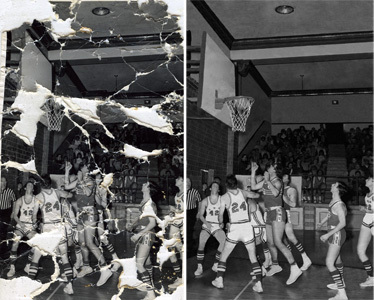 We repair damaged photos restore large areas with cracks, holes, pieces missing, large scratches on faces, or important areas. For example this black and white photograph has extreme photo damage, it was completly incased with yellowed varnish and mounted on wood, which it should never have been. The varnish was cracked, the photo had rips, tears, bubbles and many stains all over the print. 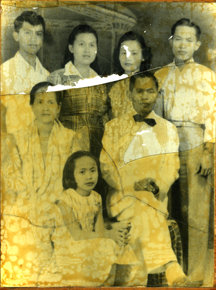 To fix this damaged photo was a challenge, I truly enjoyed restoring it. 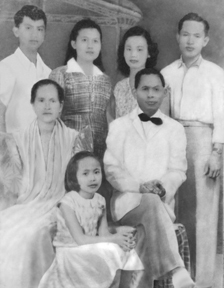 Old Black and white photos can turn yellow with age, mold can eat away your picture, or mistreatment to photo processing like the photograph above can damage your last remaining family photo you have.